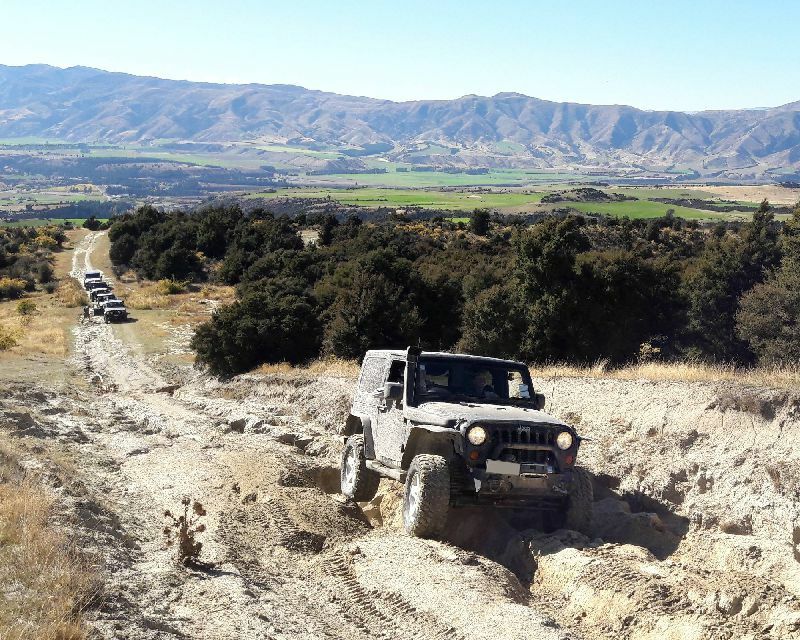 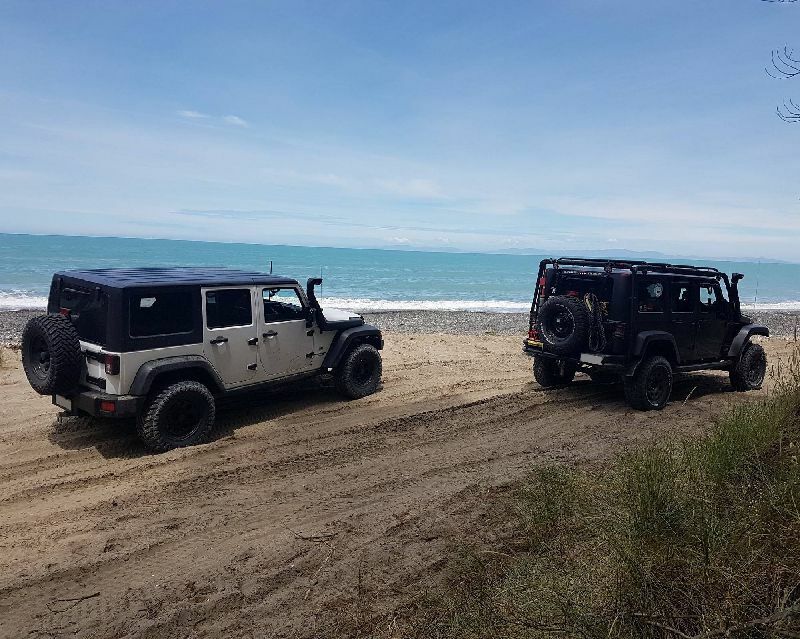 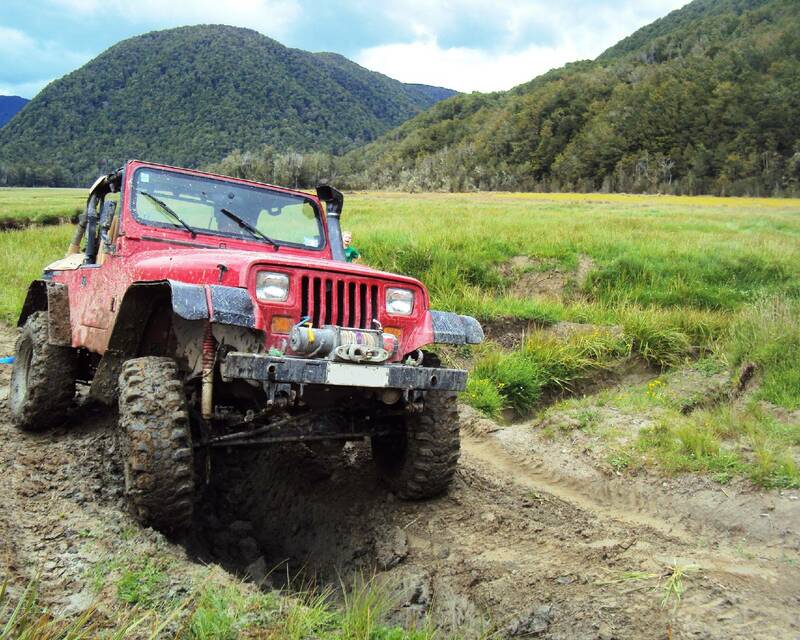 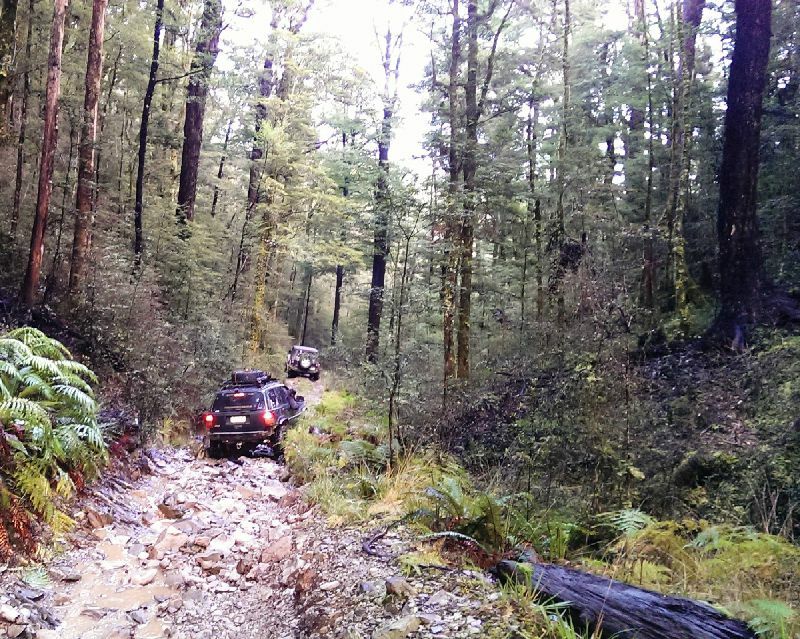 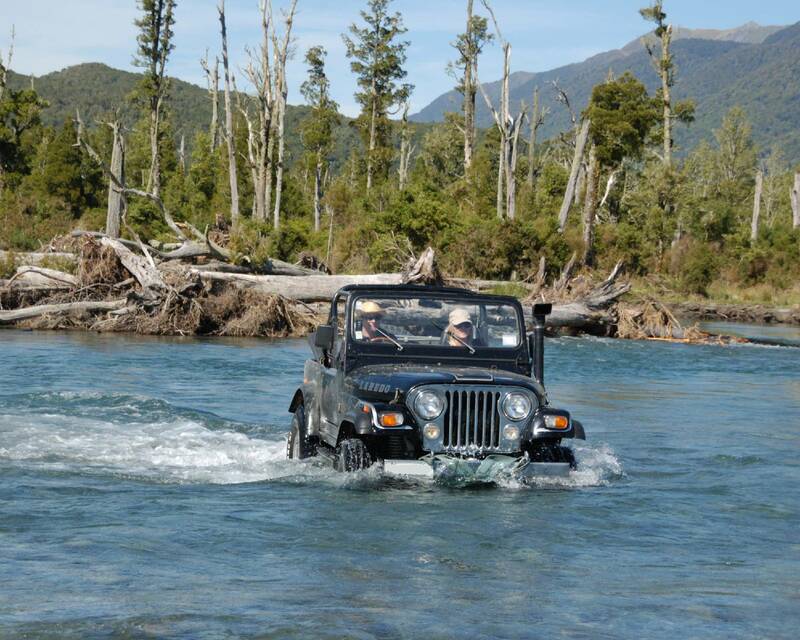 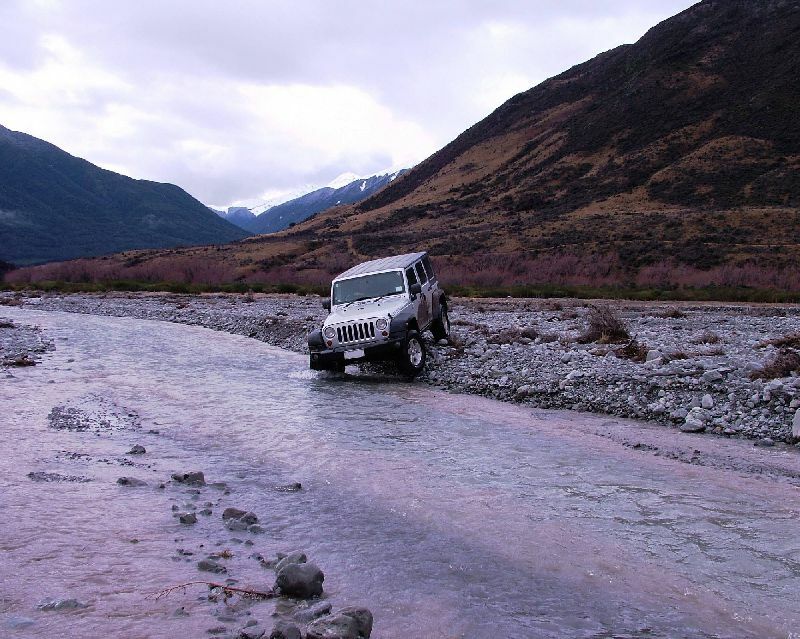 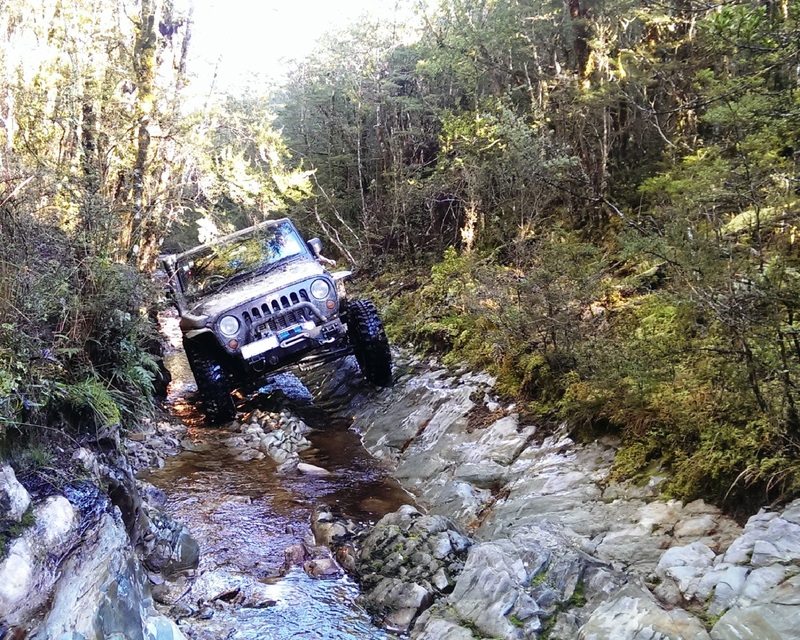 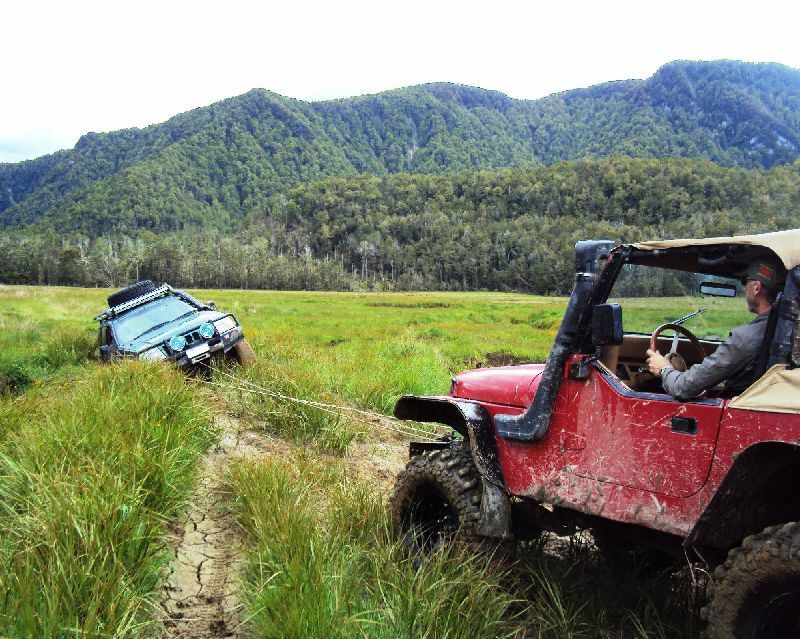 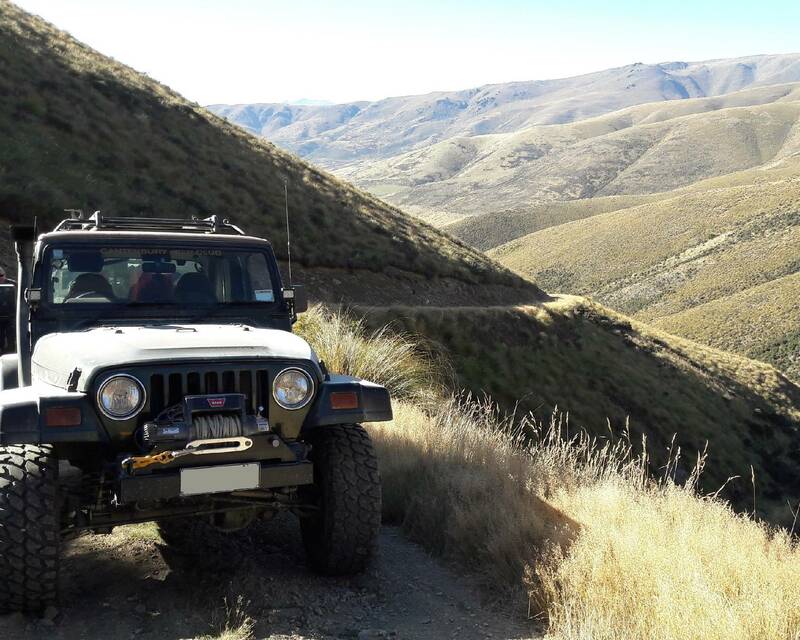 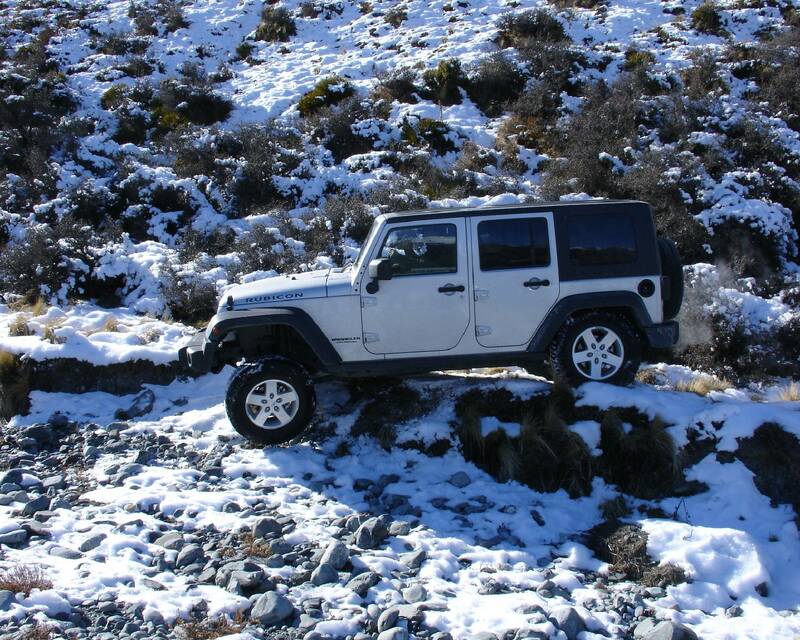 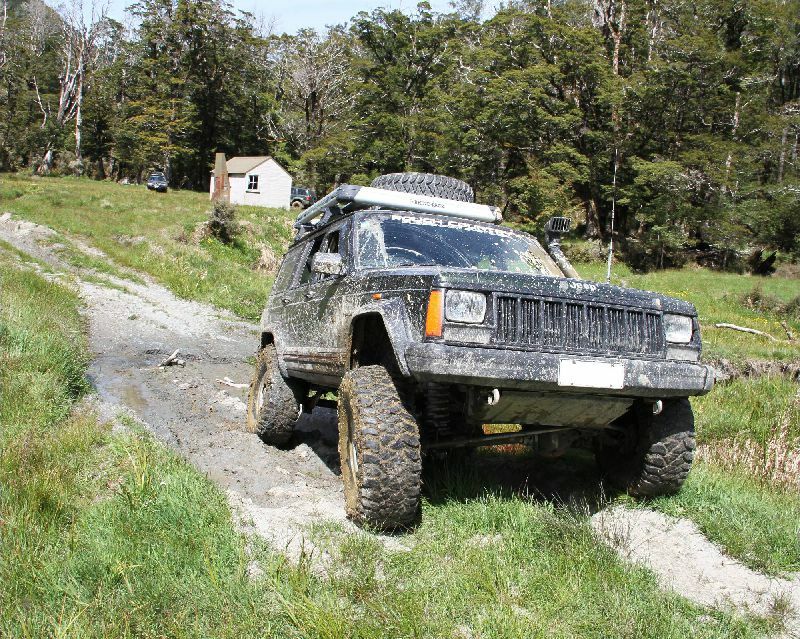 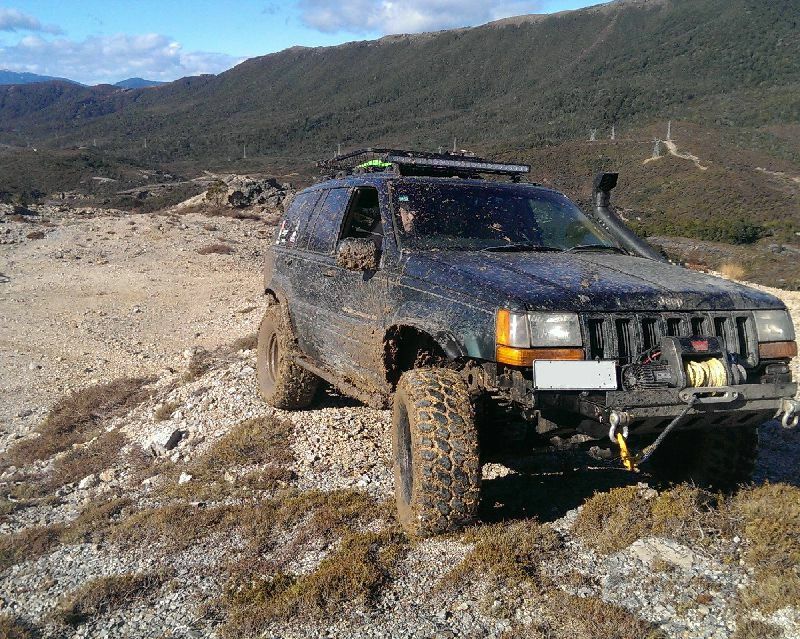 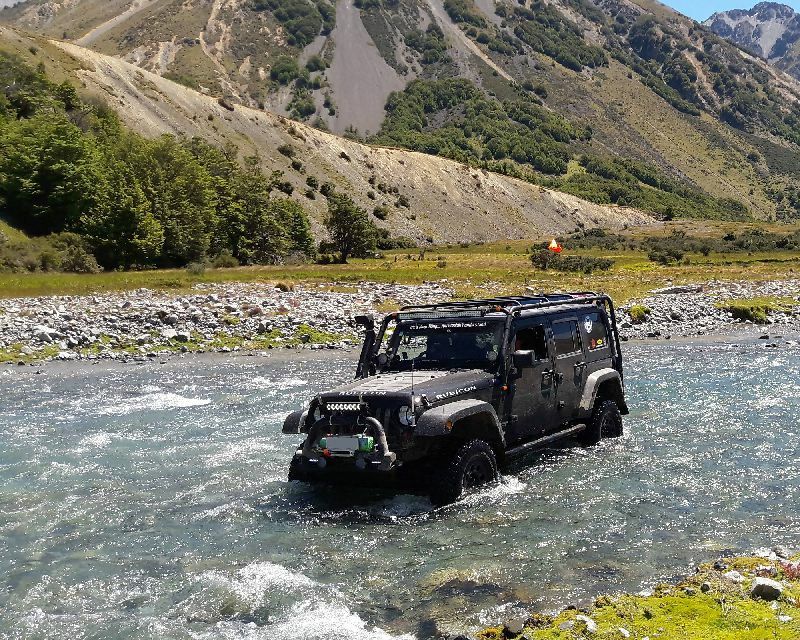 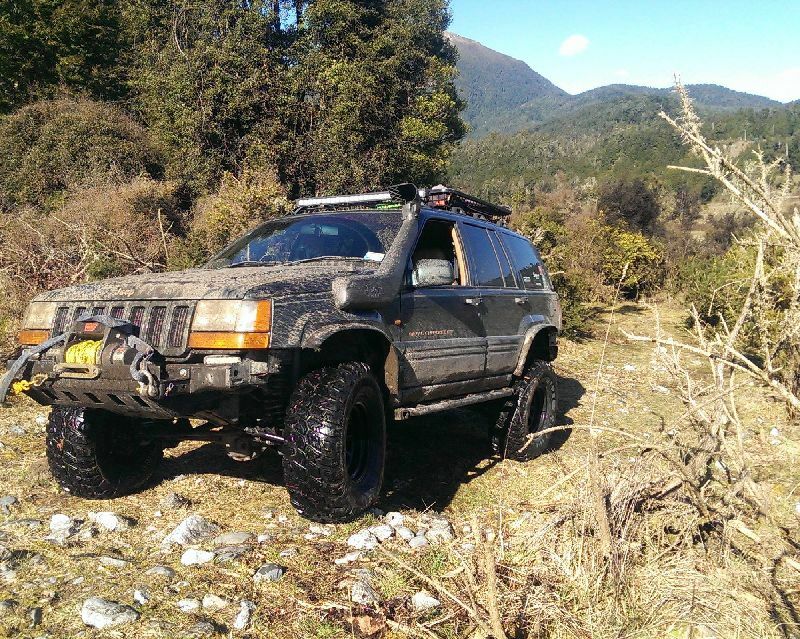 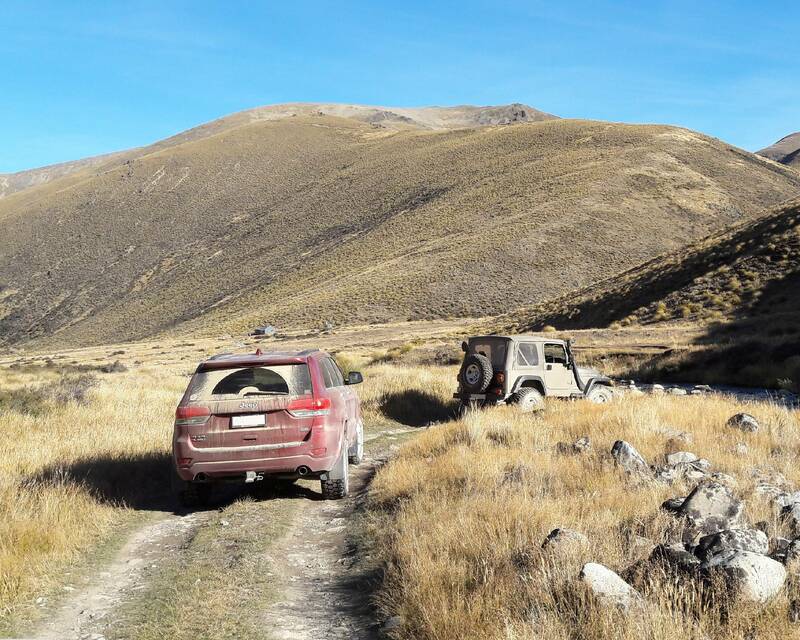 The Canterbury Jeep Club was set up by a group of Jeep enthusiasts in Christchurch, New Zealand who wanted to offer a change for other Jeep Owners to get out and experience the capabilities of their vehicles in a safe and controlled environment. 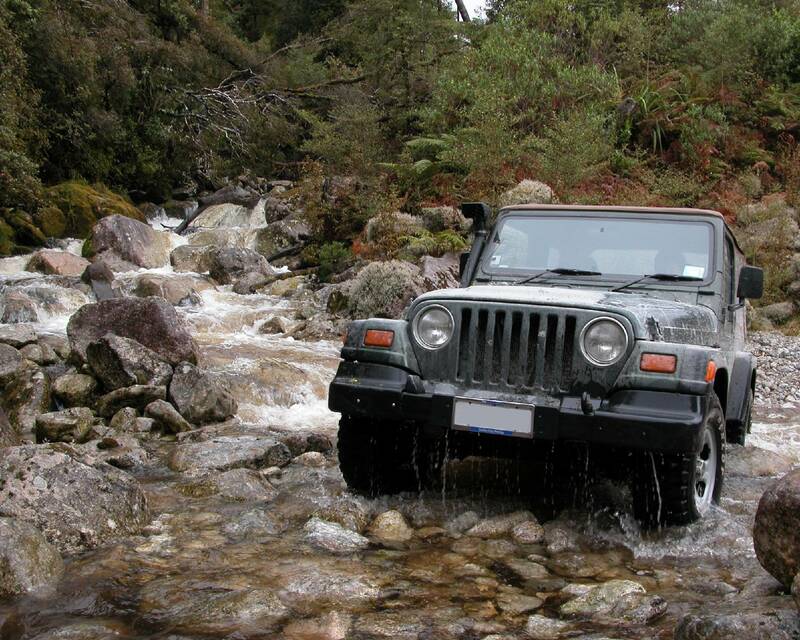 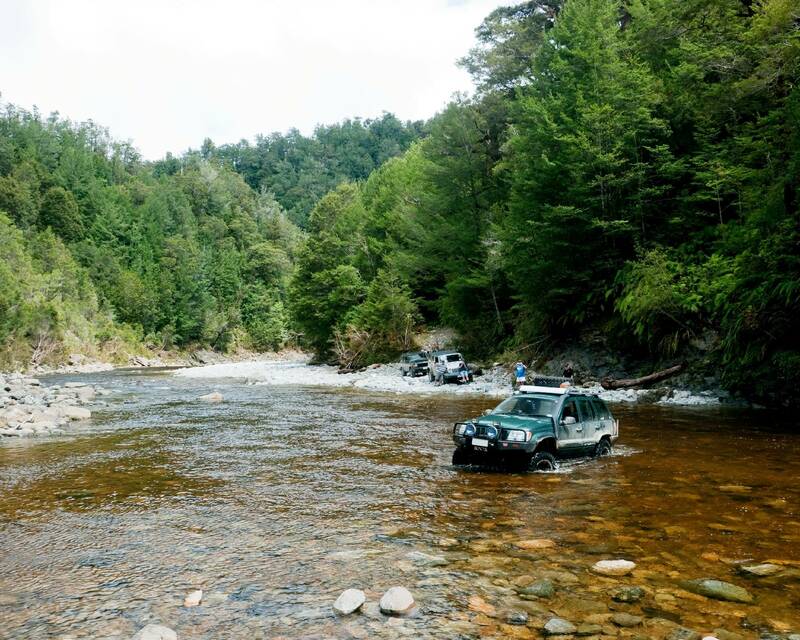 We encourage all Jeep owners to contact us and take part in the complete experience of owing and driving a Jeep. 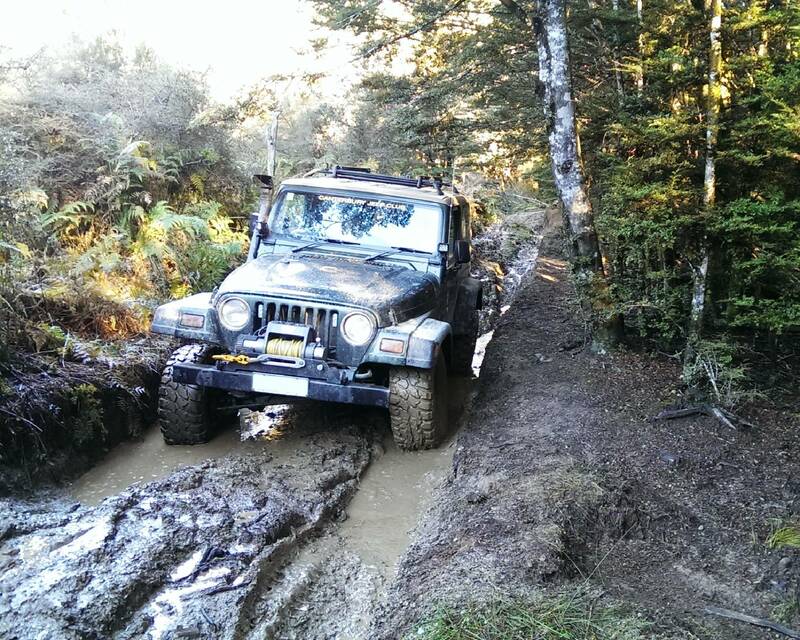 The club runs a variety of trips throughout the year ranging from mild non-scratch trips through to serious mud trips and everything in between. 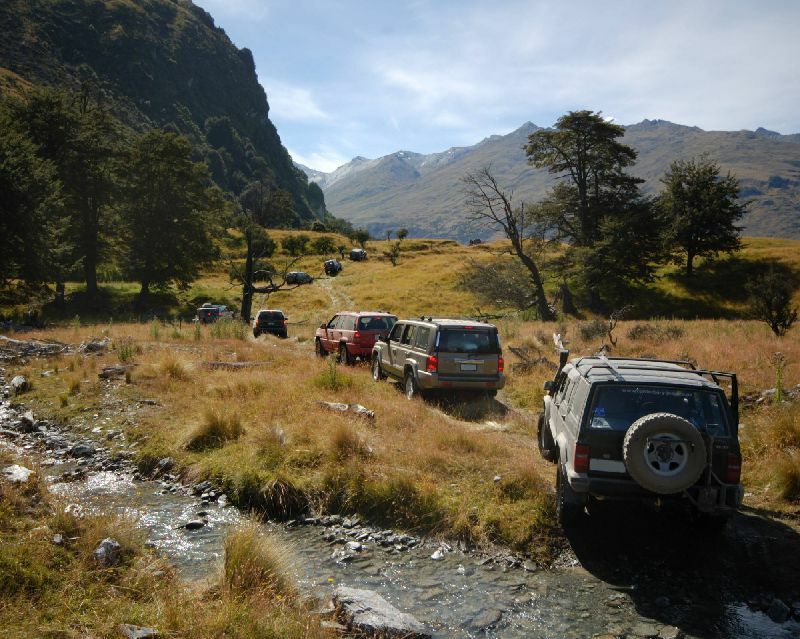 All prospective members must attend two meetings and trips to be nominated for membership pending approval by the remainder of the club. 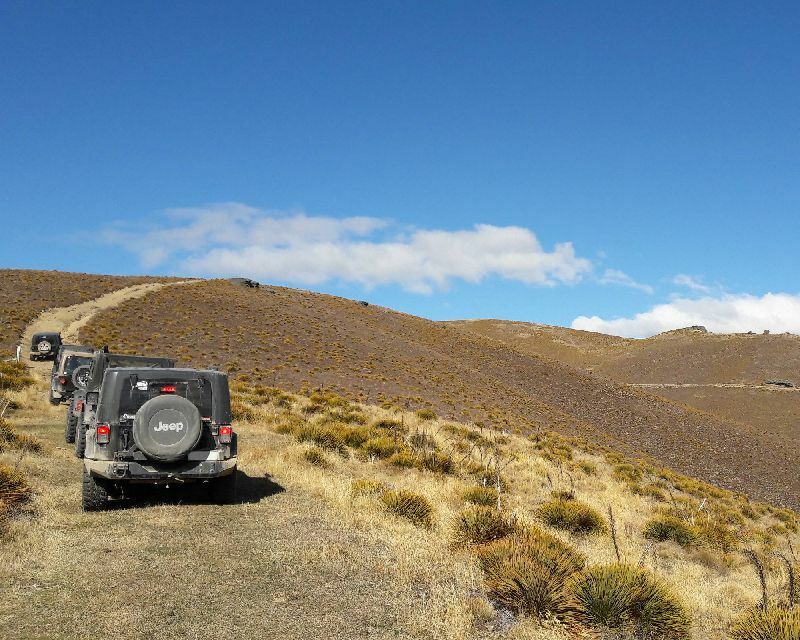 Following inital attendance at a meeting, access to the club Facebook page will be enabled for 30 days or until membership is approved opening up access to club discussions, photos and other information. Paid members have private access to our members only section of the website where you can find general discussion, technical articles, trip lists, trip reports and more. All vehicles participating in a club trip must have approved tow points front and rear, plus carry the basic equipment of a tow strop, shovel, fire extinguisher, first aid kit, and PRS radio. 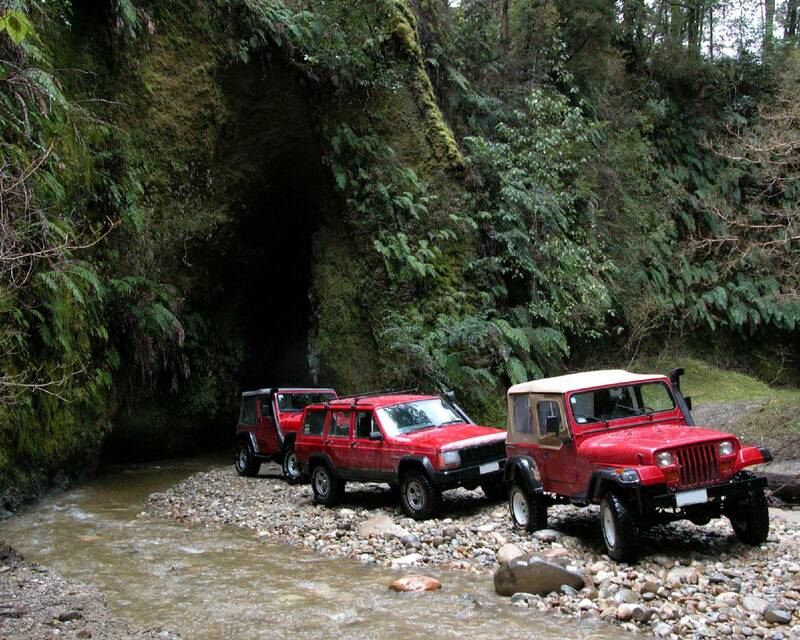 Monthly meetings are held 6:30pm every second Wednesday of the month. All members and prospective members welcome. 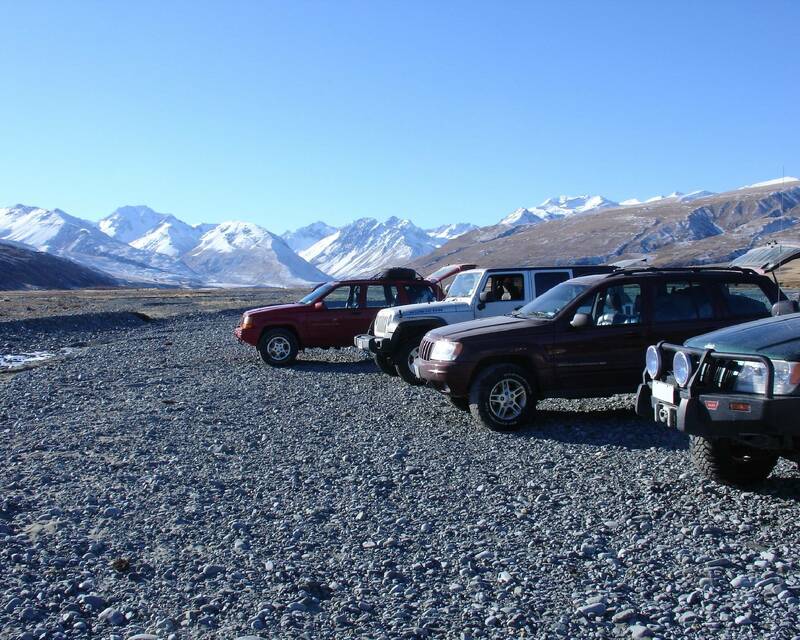 The club offers a number of trips per year, catering for all levels of both vehicle capability and driver experience. 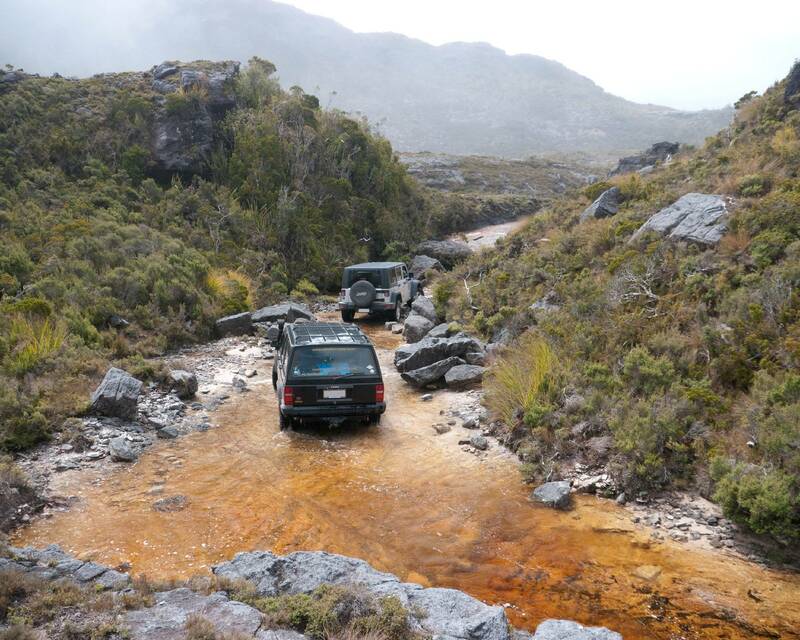 A brief description of the different grades are as below and includes links to previous trip photos. 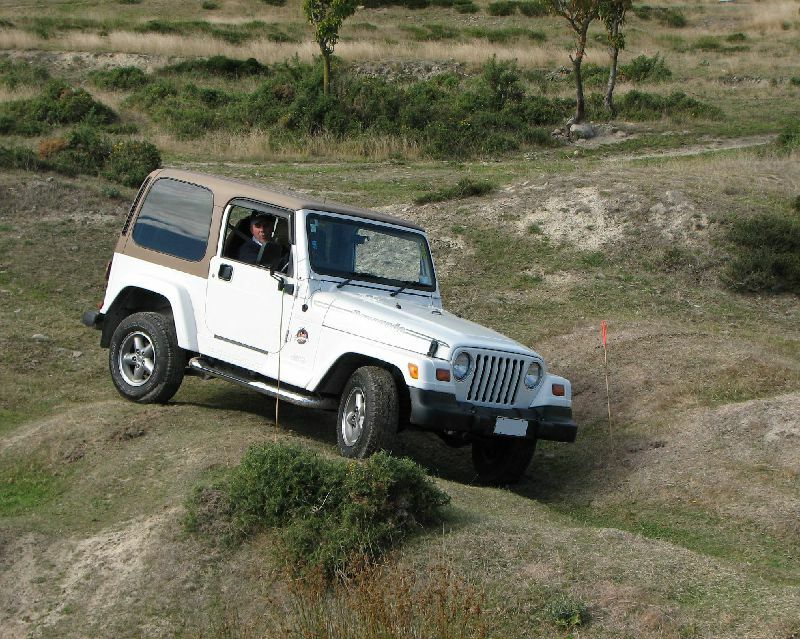 Easy driving on formed roads and tracks. 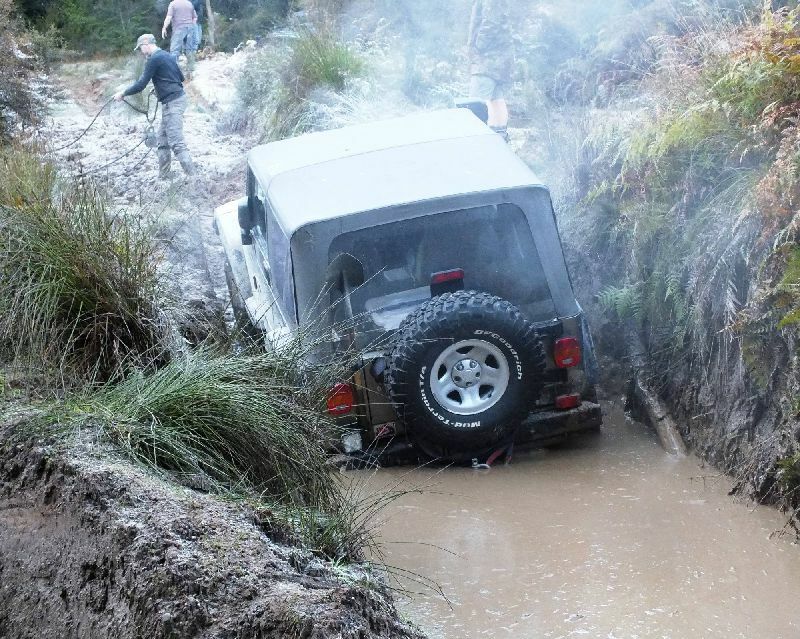 Usually well formed and stable. 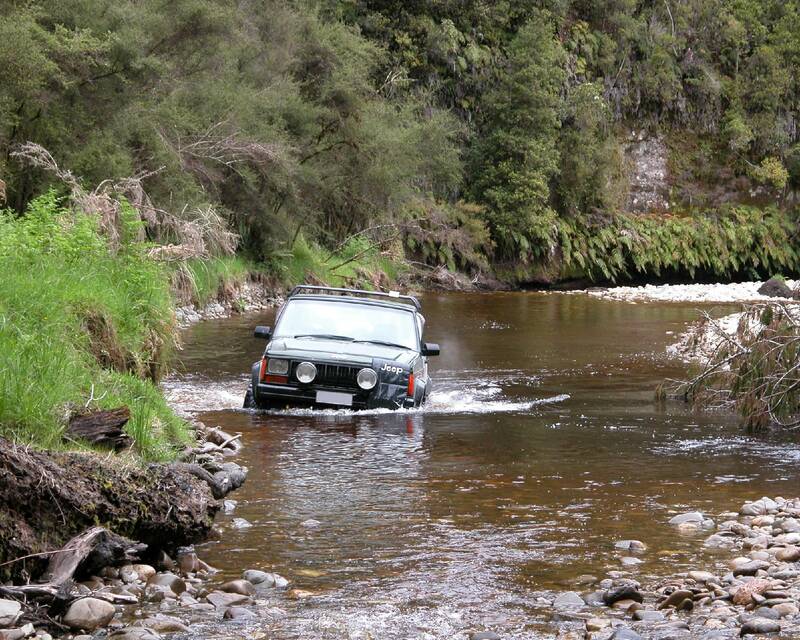 Small water crossings. 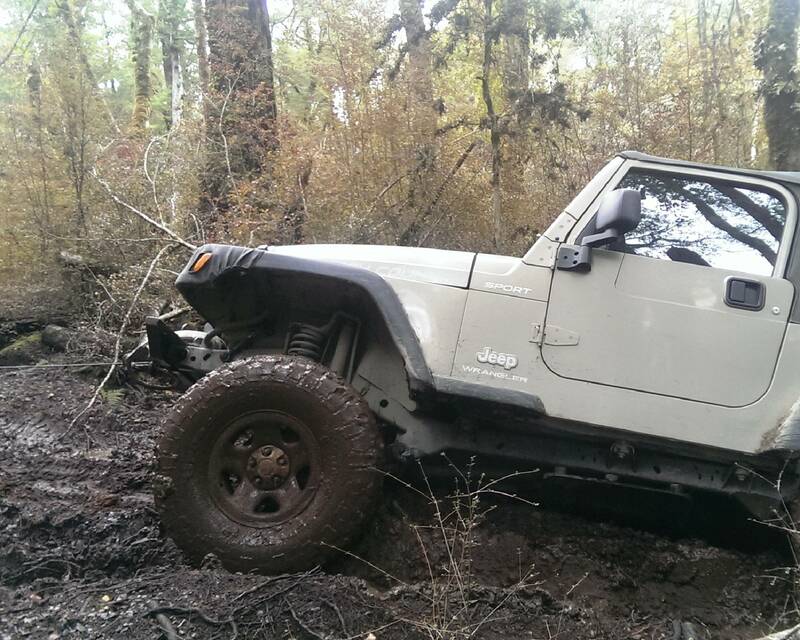 Minimal chance of damage, scratching or getting stuck. 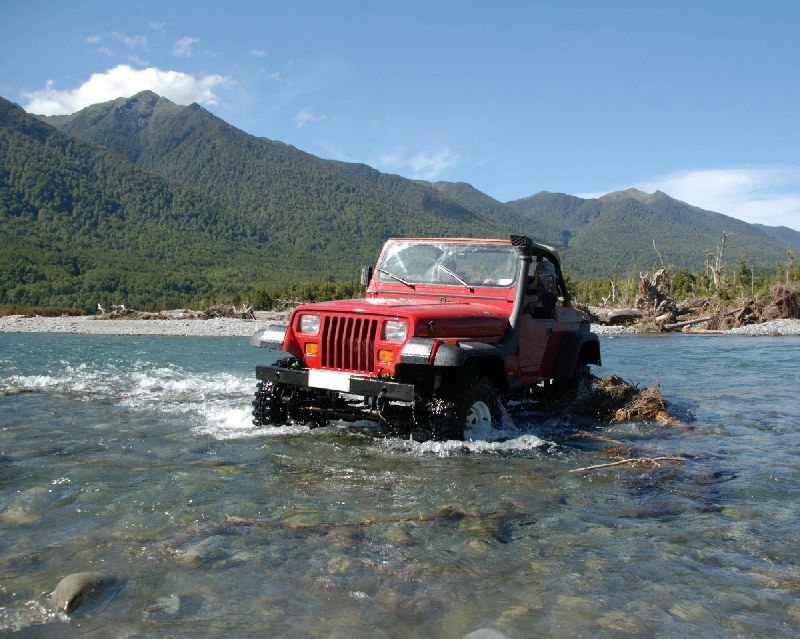 More difficult tracks and river beds. Minor water crossings. Mud, soft shingle, and possible scratching to vehicles. Difficult off-track driving, deep mud, wet clay, significant water crossings, deep ruts, and scratching of sills and other damage could occur. Some winching possible. 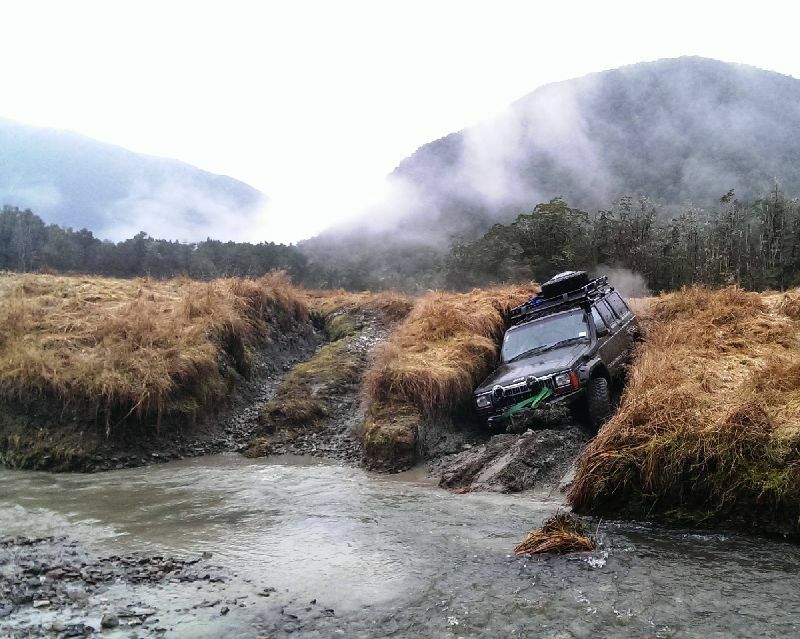 Rugged and difficult terrain, deep mud, deep water, deep ruts on tracks. 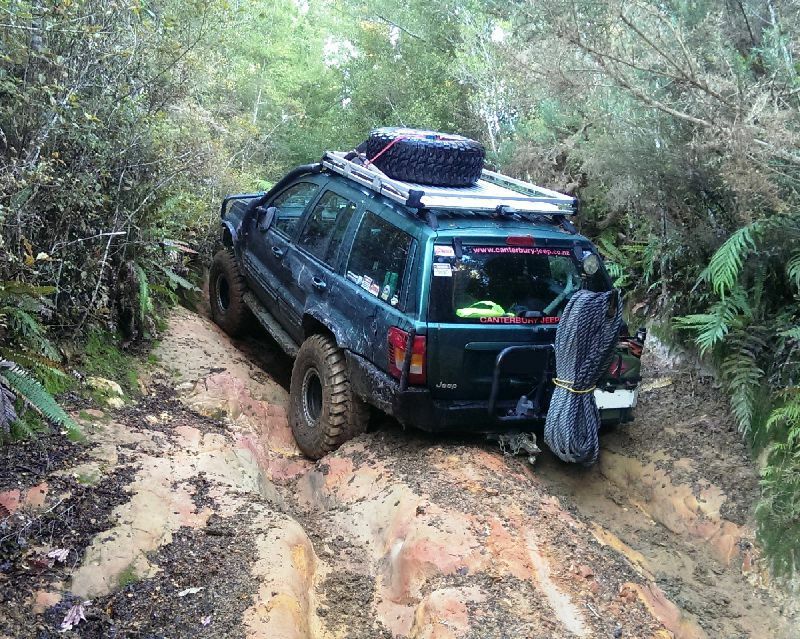 Winching required, steep and difficult clay, very wet mud bogs. 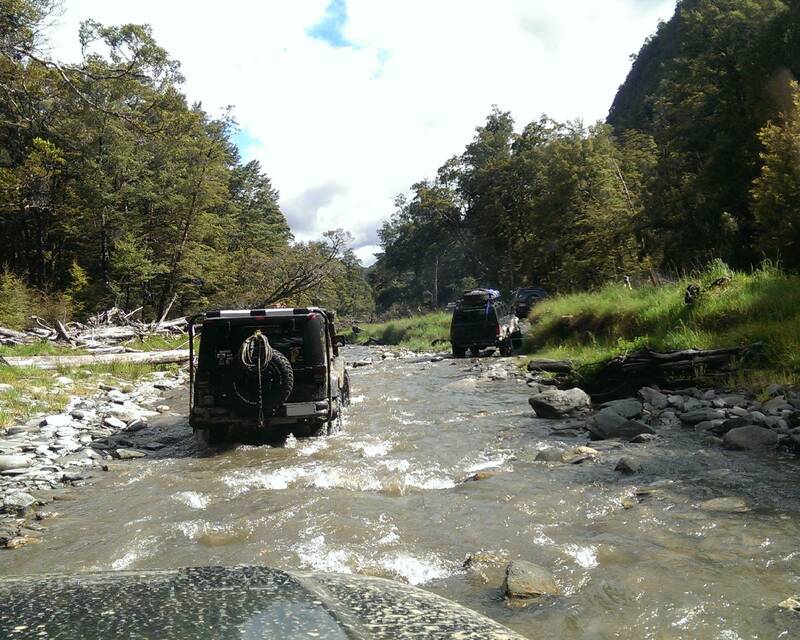 Very extreme conditions, steep and difficult terrain, very deep water, very deep mud bogs, seriously rutted tracks, big rocks. 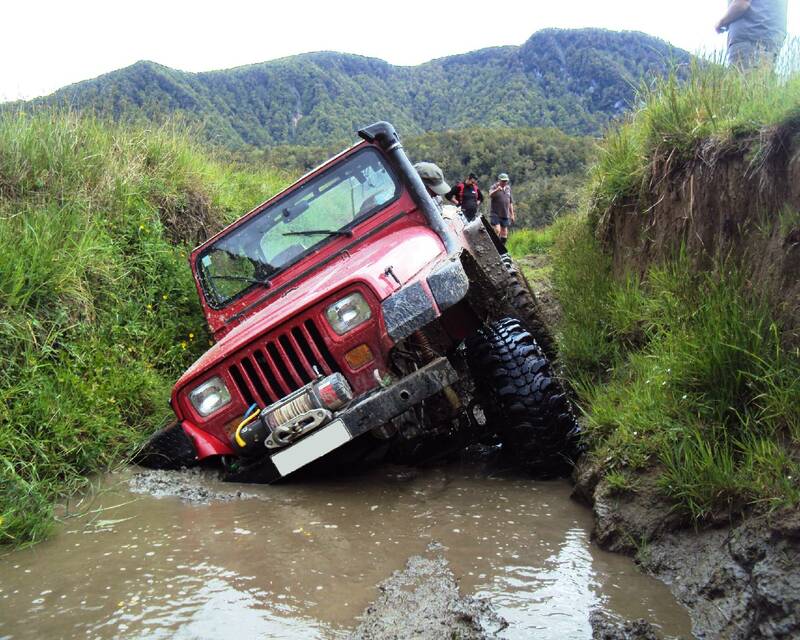 Winching required often. 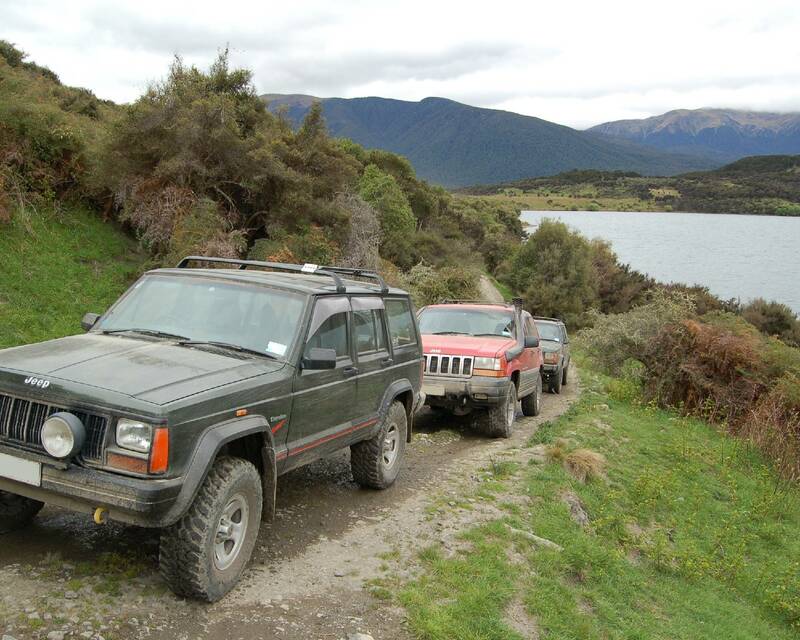 Jeep manufactured or manufactured under licence vehicle. 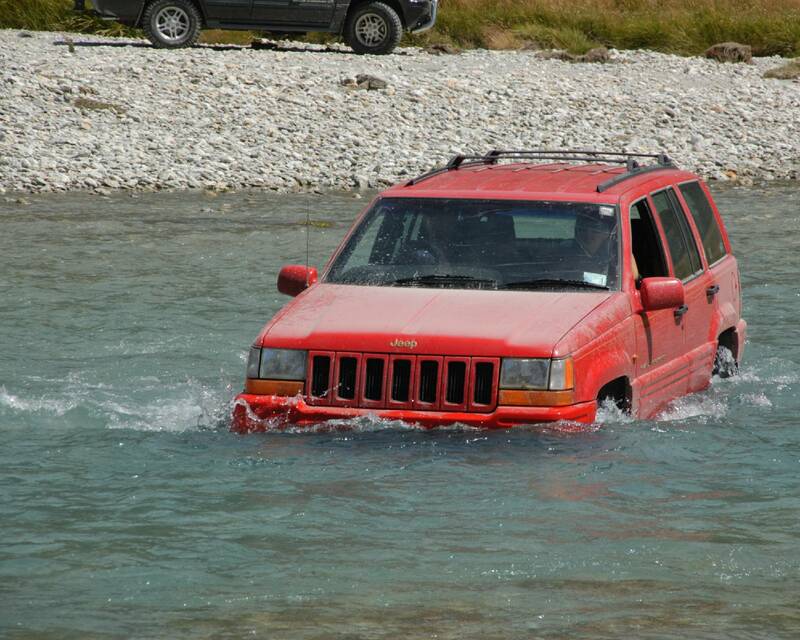 Minimum of 3rd Party Vehicle Insurance. Approved Tow Hooks, Front and Rear. 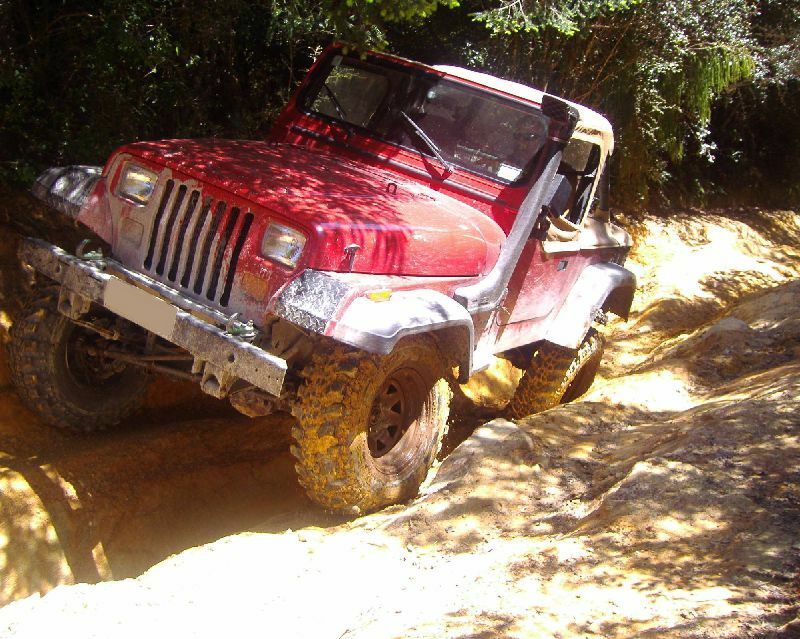 These should be cast steel hooks with a minimum rating of 7000 kg, and fixed to a structural part of the vehicle with 2 x 12mm (½ inch) high-tensile bolts and nuts. 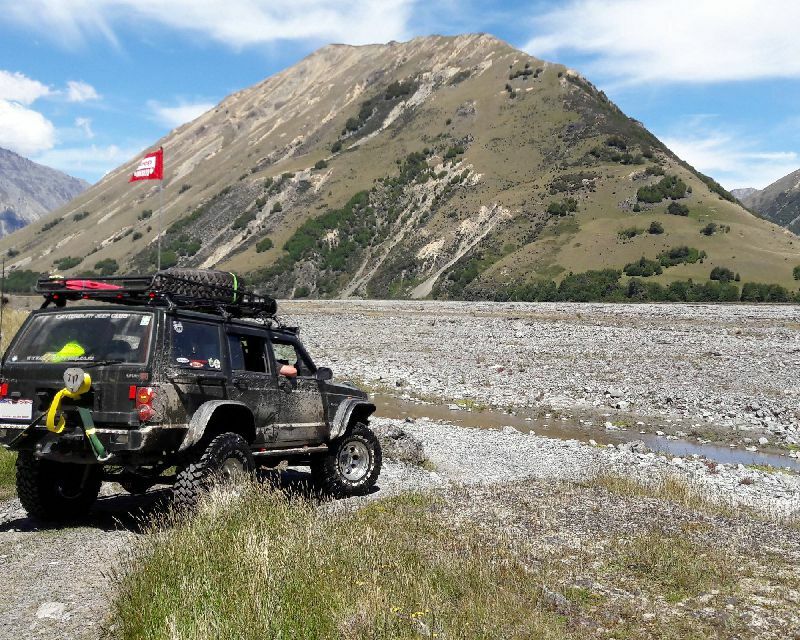 Note: Tow balls on tow bars should be removed if you wish to use your tow bar as a tow point, replace the tow ball with a 3.25 ton rated 'D' or 'Bow' type shackle. Tow rope or strop. 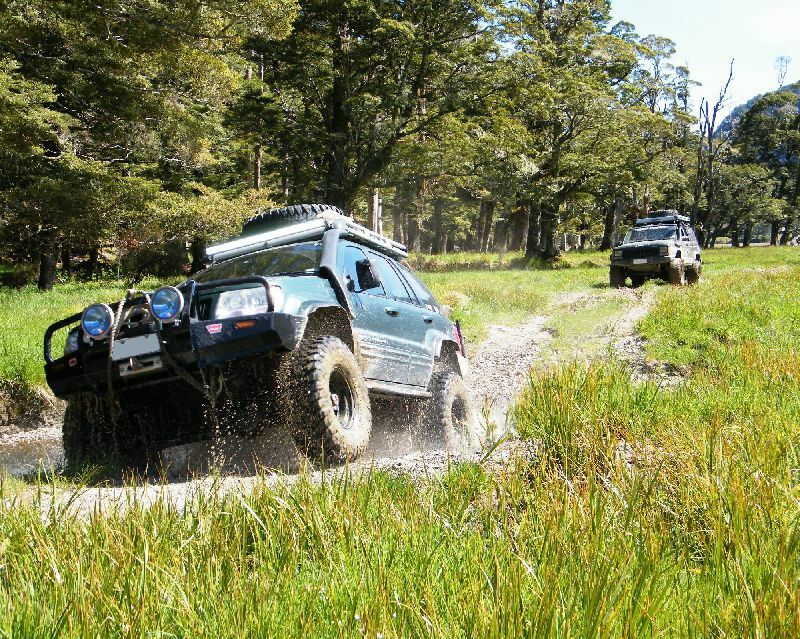 Tow Strop: Standard 4WD type towing strop 6 or 9 metres long with 7000 to 8000 kg minimum rating. Tow Rope: Made from Polypropylene with a maximum diameter of 20mm. 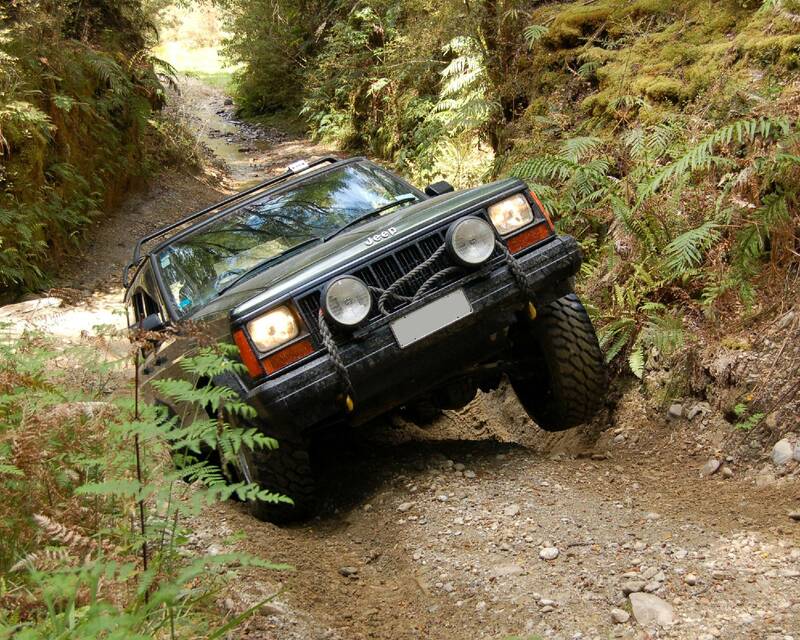 Recommended length is 20 metres. Fire Extinguisher (1kg Dry Powder minimum). The following is a selection of photos from previous Canterbury Jeep Club trips covering Grade 1-2, Grade 2-3 and Grade 4-5 trips. Meetings are held on the second Wednesday of the Month (except January). All current and Prospective Members are welcome. 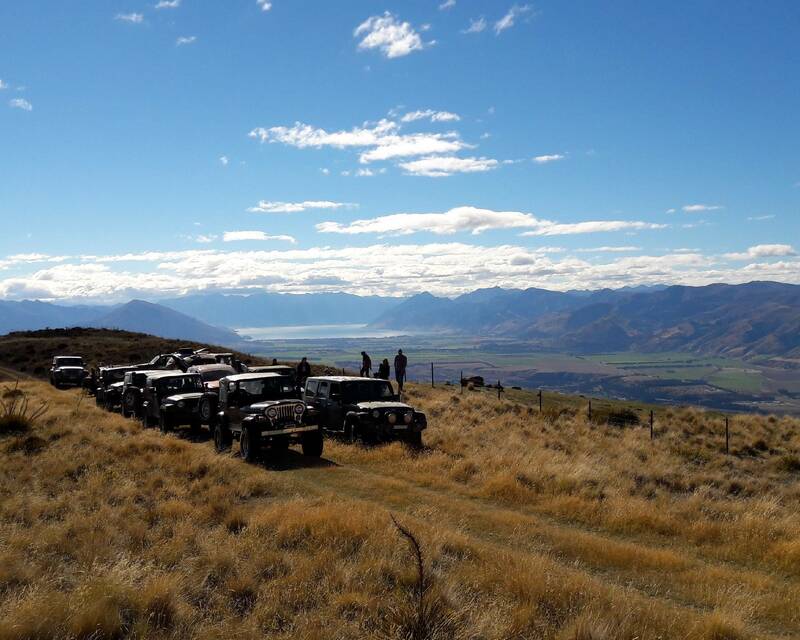 Following initial attendance at a Meeting, access to the Club Facebook page will be enabled for 30 days opening up access to Club discussions, photos and other information. 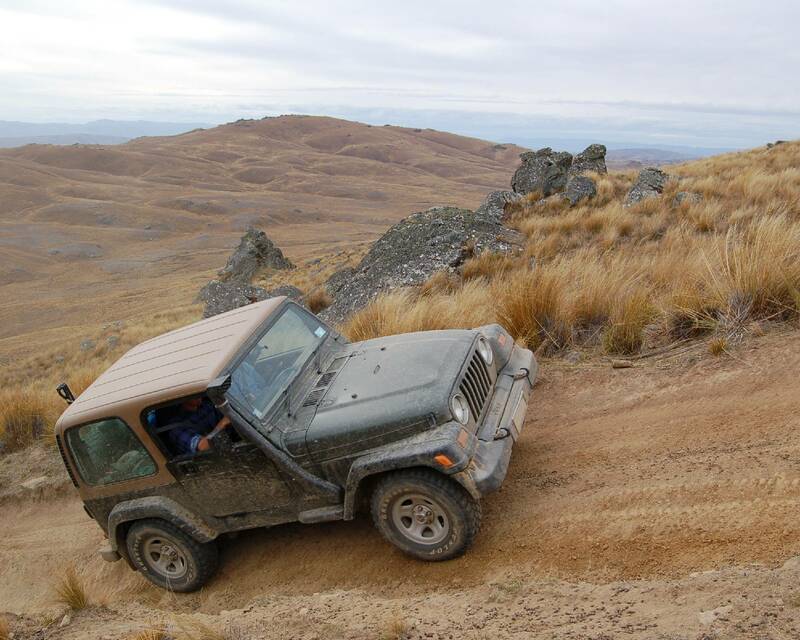 All Prospective Members must attend two Meetings and two Trips to be nominated for Membership. 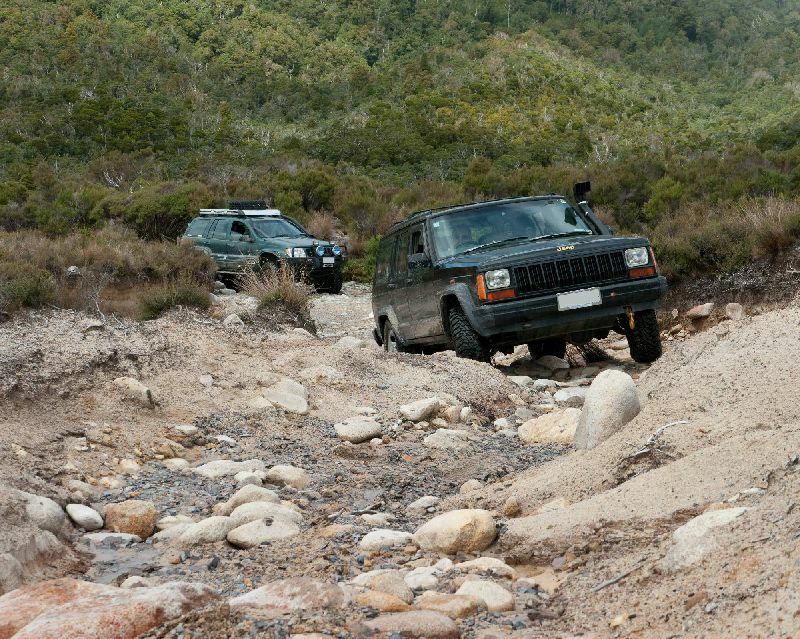 Please use the 'CONTACT US' form for further information on Meeting location. Please complete the following information and click "Submit". A member of our Executive will be in contact soon and advise on up and coming Club Trips and Meetings. 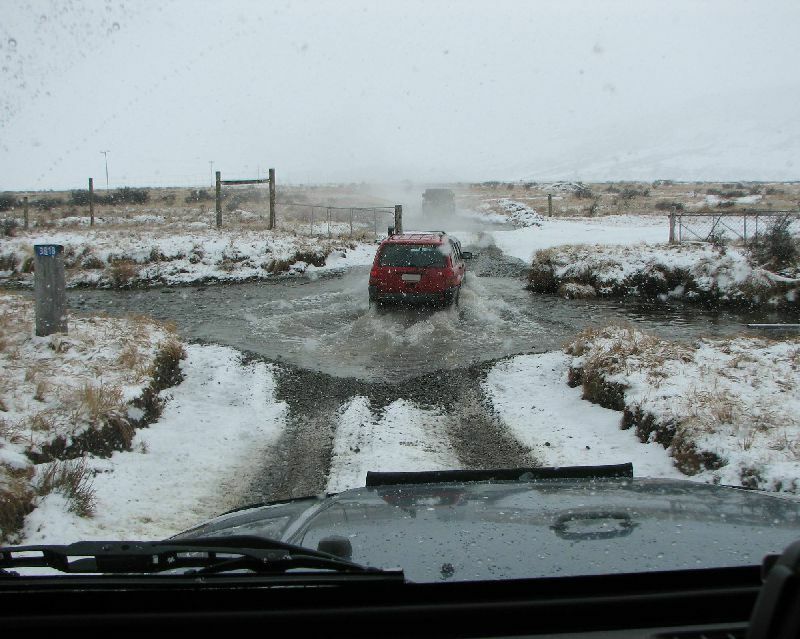 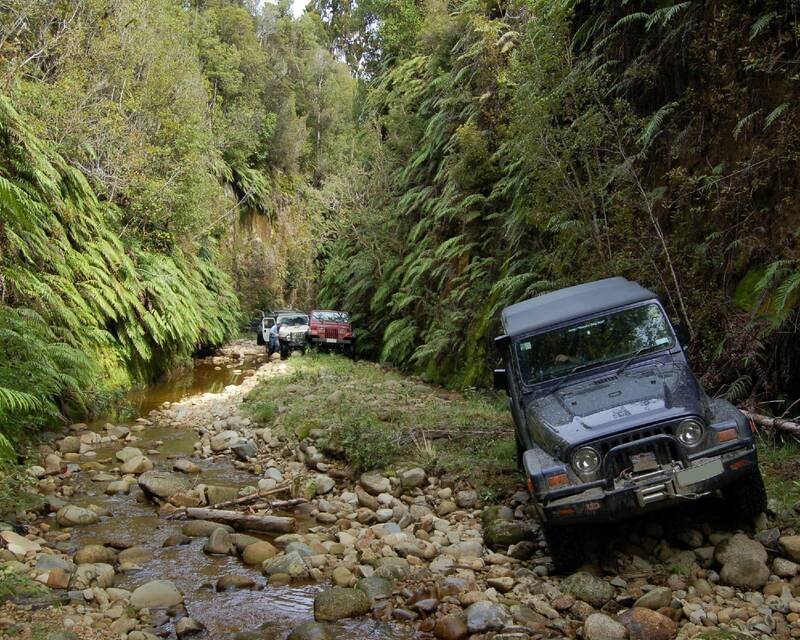 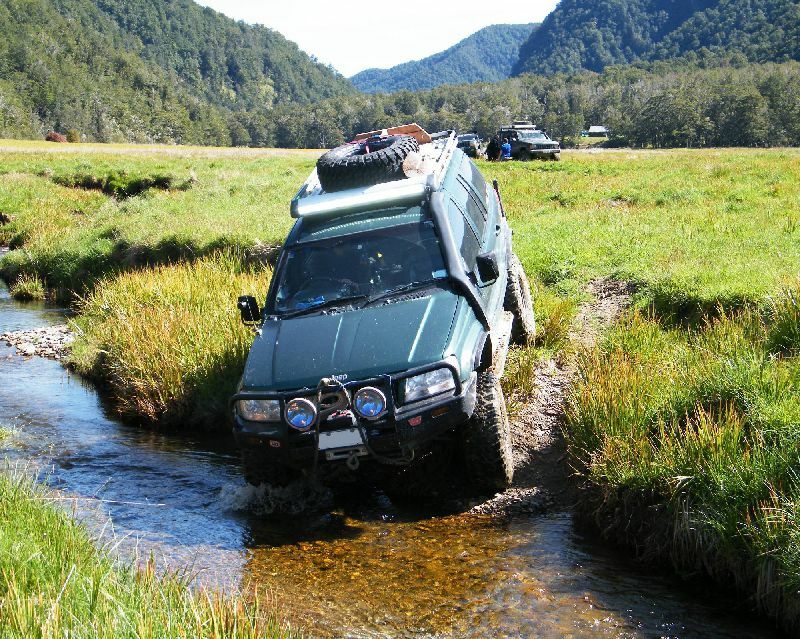 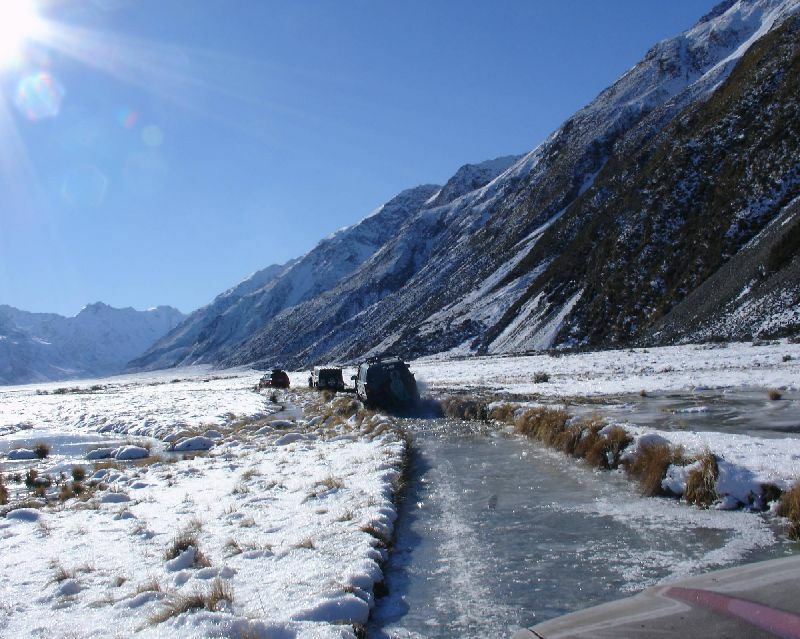 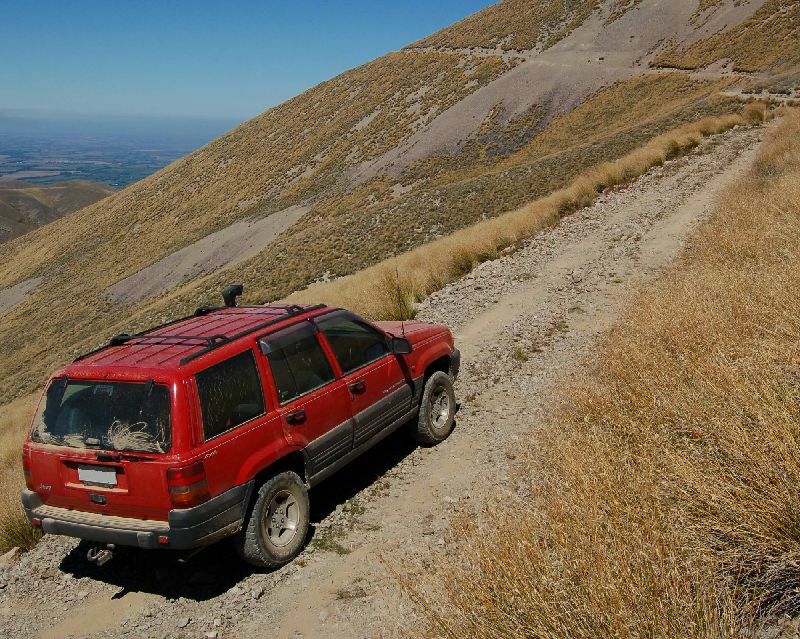 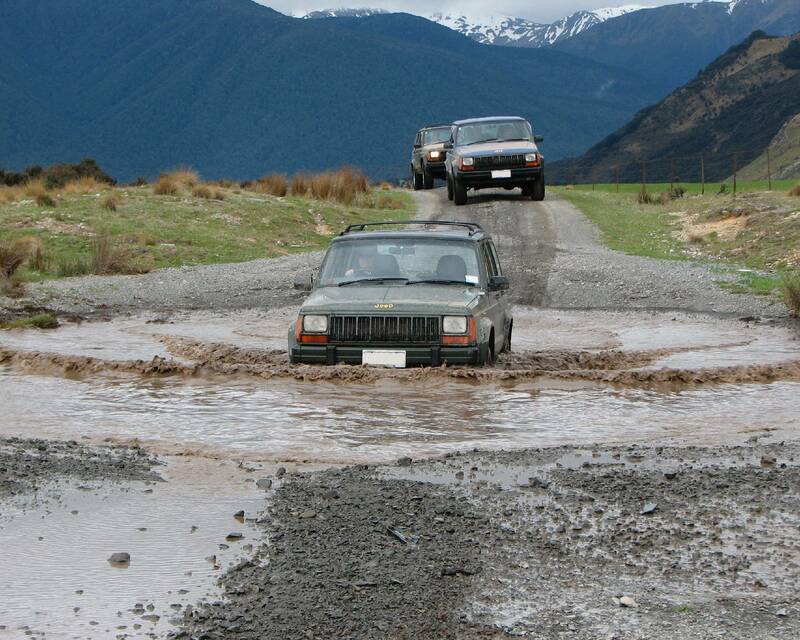 A MEMBER OF THE COMBINED 4WD CLUB INC.
Driving as a valid and accepted form of recreation"